3.9 out of 5 based on 62 bloggers and 10 commenters. 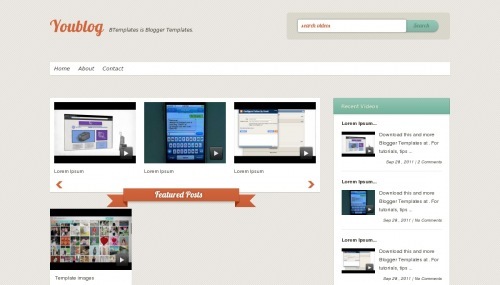 Youblog is a free blogger template with 2 columns, right sidebar, web 2.0 design, rounded corners, an exclusive design for Blogger, slider and posts thumbnails. Excellent template for blogs about movies, music or photography. Its amazing for the video bloggers !!! Trying to figure out how to get the ‘Featured Posts’ element that is shown in the demo. how can i change the Thumb for a image? HI have the saem problem. the thumbnails stop working One month ago.